The final cabinet shuffle before an election is typically when the incumbent party begins shaping its key campaign issues. But Wednesday’s shuffle makes it clear that it’s the Conservatives – and not the Liberals – who control the agenda for 2019. Rather than forward a Liberal vision, this cabinet reacts to the one set by the Conservatives. The new post for Border Security and Organized Crime Reduction is perhaps the clearest reaction to growing conservatism. While Liberals insist they have the flow of asylum seekers under control, Conservatives have called for the entire border to be closed to irregular migrants. And as Liberals pushed historic cannabis legalization, Conservatives criticized the government for being unprepared to handle the repercussions. Minister Bill Blair’s portfolio, which deals with handling the flow of asylum seekers as well as regulating cannabis, is thus framed around Conservative criticism rather than Liberal policy. Blair’s portfolio is not the only one to directly address Conservative criticism: Jim Carr’s new role in International Trade Diversification is clearly motivated by the Opposition. Although Trump’s imposition of tariffs undoubtedly prompted the creation of this portfolio, Conservative criticism was also a catalyst. Conservative Party of Canada leader, the Hon. Andrew Scheer. Via Flickr Creative Commons. Beyond issue framing, the cabinet shuffle serves to build a strong team of players to defend against the Conservatives’ expanding power. All five of the new ministers represent regions where the Tories are gaining ground. Three of the five are from the Greater Toronto Area, a region that won Doug Ford the Ontario election in June. The Liberals need to win these voters back in 2019 if they hope to get another majority, especially as Conservatives continue to make inroads in other Liberal territory (like Quebec and B.C. – a new minister is appointed from each). Fear of the growing Conservative threat is reflected in the regions where Trudeau chose to boost representation. 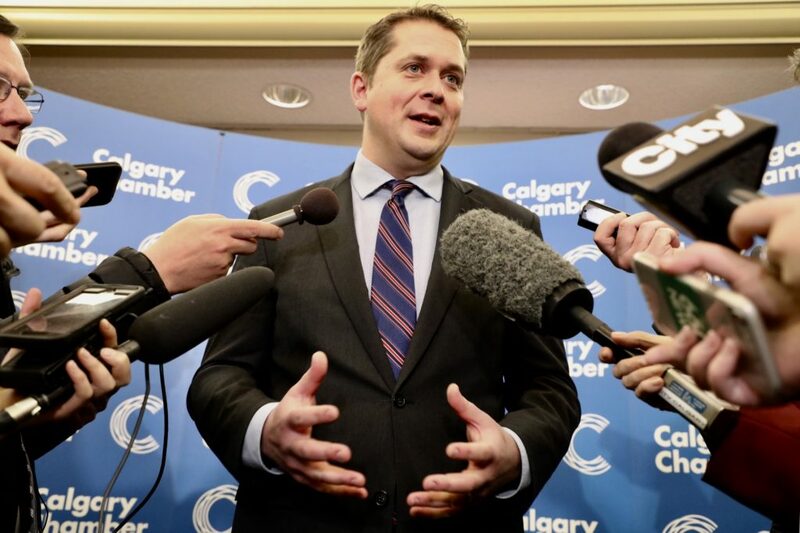 The conservative movement that gained momentum in Ontario is likely to spread to at least two more provinces this year as the Alberta United Conservative Party and the right-wing Coalition Avenir Quebec continue to rise in popularity. Trudeau responded by adding several positions for coordinating relations with the provinces – and put his strongest people in them. Dominic LeBlanc is considered tough, experienced, and a “Tory whisperer,” making it no surprise that the trusted childhood friend of Trudeau will lead the charge on Intergovernmental Affairs. Meanwhile, Bill Blair is a hardheaded choice to counter Premier Ford on migration issues, as the two are longtime enemies. The first half of Trudeau’s mandate was a proactive push for Liberal-branded policy including cannabis legalization, electoral reform, and Indigenous reconciliation. In his pre-election cabinet shuffle Trudeau has swapped his proactive path for a reactive one, responding to calls for trade diversification, improved relations with the provinces, and stricter border control. 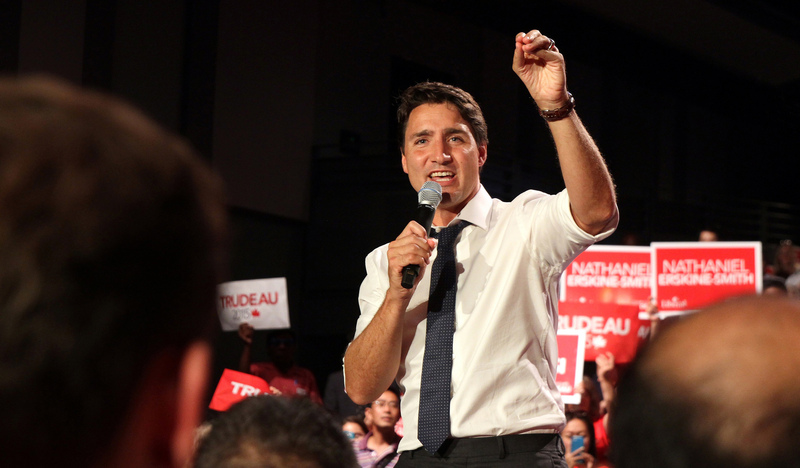 In 2015, Trudeau campaigned on a Liberal vision. If this week’s shuffle is any indication, the Liberals will spend 2019 playing defence against an increasingly powerful Conservative vision. Feature image by Alex Guibord, via Flickr Creative Commons.